National Educational Technology Standards (“NETS”) are the creation of an organization which “strongly believes that corporations are major stakeholders in education.” NETS — under review by DC’s State Board of Education, as well as by numerous other jurisdictions around the country — are a product of ISTE, the International Society for Technology in Education. ISTE strongly believes that corporations are major stakeholders in education. Forging strong relationships with corporations is one of the keys to successfully transforming education. ISTE is proud of its more than 30-year history of working with corporations to help achieve our mission of advancing excellence in learning and teaching through innovative and effective uses of technology. Corporate champions and corporate leaders enjoy year-round opportunities to interact with ISTE members in a focused way designed to advance the field while achieving corporate objectives. Corporate champions and corporate leaders are leaders in the industry who want to retain that leadership position and partner with the premier membership association in the field to create a world in which all children can achieve their potential, and making the world’s children globally competitive and true global citizens. Meanwhile, graduation requirements — in DC, as elsewhere — are changing to facilitate adoption of computer-based and on-line instruction. Facing state-mandated class-size restrictions and a state requirement that all students take an online course before graduation, districts are turning to Florida Virtual to help meet both those obligations. Is there any evidence that taking classes on-line, or via computer, somehow improves the experience or educational outcomes for K-12 students, generally? Not so much — although there is research on individual programs (some, K12, e.g., with less-than-rosy results). The U.S. Department of Education’s National Educational Technology Plan of 2010 questions “seat-time” requirements (in favor of “competency”) and recommends research into online and blended learning with a view toward the adoption of such programs. As noted by The Education Town Hall (and by many others), however, the DOE specifically cautions against applying research with adults to K-12 environments. Caution is required in generalizing the study’s findings to the K-12 population because the results are for the most part based on studies in other settings, such as in medical, career, military training, and higher education. No analyses were found that rigorously measured the productivity of an online learning system relative to place-based instruction in secondary schools. 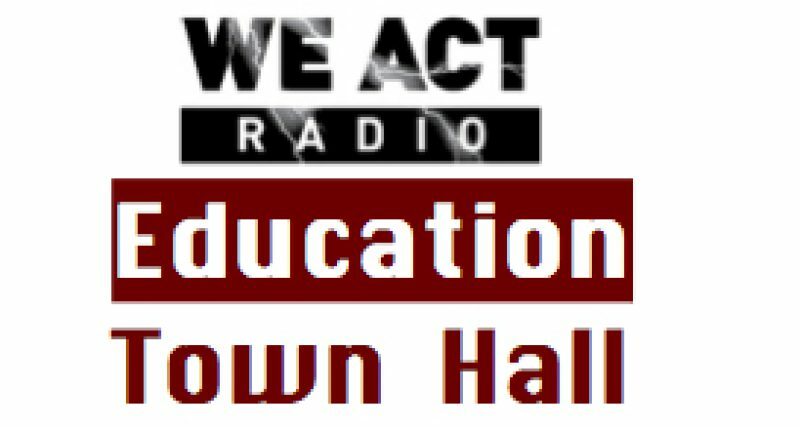 Around the Country….Let The Education Town Hall know how the move toward “competency” and NETS is progressing in your jurisdiction. What is being adopted? What is working? What is not? DC citizens….DC SBOE Working Session and vote, on NETS, Wednesdays, Feb. 6 and Feb. 23, respectively. Working session and vote on graduation requirements in March. Inform yourself. Attend the sessions, if you can. Let the State Board know your opinions of NETS.